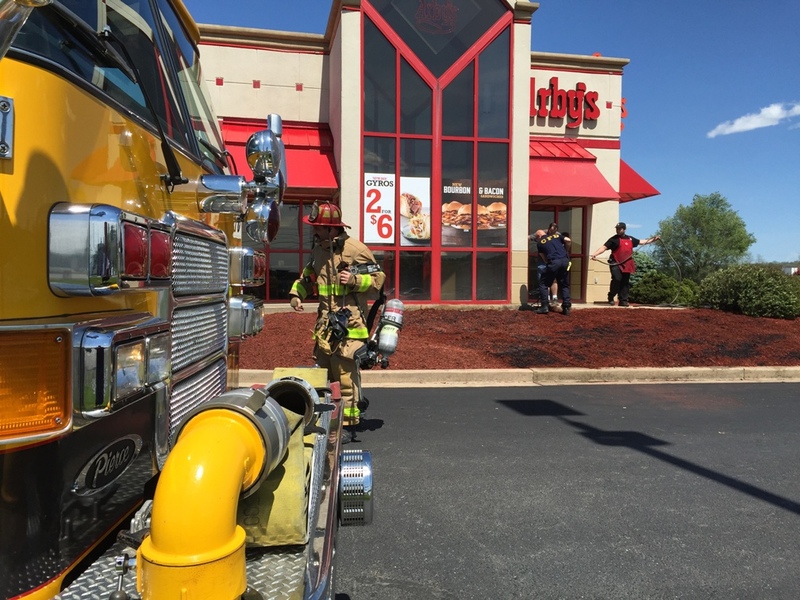 Photos are courtesy of Brian Denham. 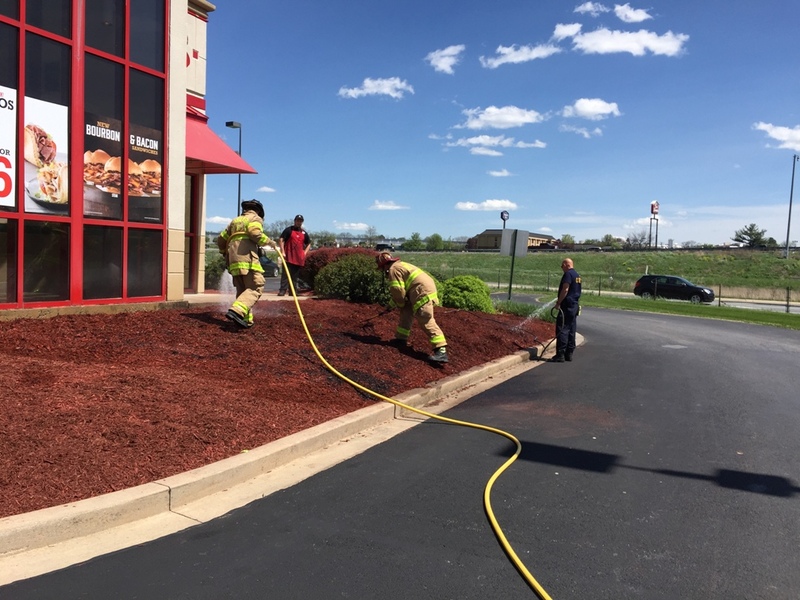 CFD and mutual aid departments were alerted for a mulch fire against the building at Arby's, 1099 Wayne Avenue. 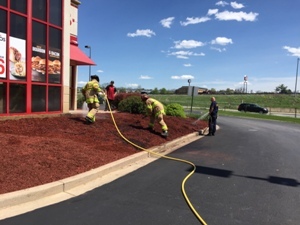 Engine 1-4 arrived and found smoldering mulch with no extension into the building. The box was quickly downgraded to Engine 1-2 and Engine 1-4.